Welcome to Hong Kong Ocean Park! Virtual detailed instruction tourist guide in getting to Hong Kong Ocean Park. 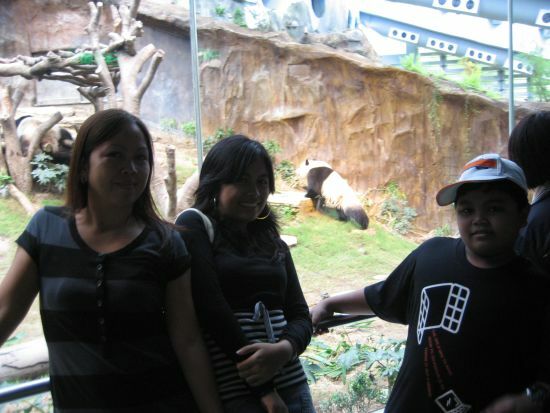 A complete full day family entertainment, educational and conservation amusement park in Hong Kong. Welcome to Hong Kong Ocean Park (here's to see Ocean Park in Hong Kong interactive map), built by the Hong Kong Jocky Club it is one of the world's largest oceanariums and comprises 170 hilly acres overlooking the sea. It is possible to spend an entire day here if you aim to take in all the park's stunning features and numerous recreation activities. The sheer variety of entertainment, education and conservation facilities will cater to the entire family and your experience will remain in your memory to love, enjoy and cherish for the rest of your life. With numerous restaurants and food kiosks, it offers a large choice of refreshments and snacks within the park premises. There are also many shops with an exciting variety of souvenirs & special gifts. 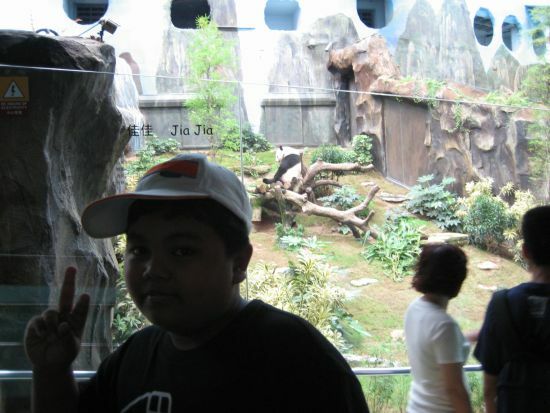 The children's zoo where you can visit "An-An" and "Jia-Jia" the two Giant Pandas until recently exclusive to Ocean Park. They have been joined by two cuddly new residents - the Giant Panda cubs "Ying Ying" and "Le Le" who are gifts from the China Central Government to celebrate the 10th anniversary of the establishment of the HKSAR. An atoll reef where you can find over 2,000 coral fish and more than 300 species. 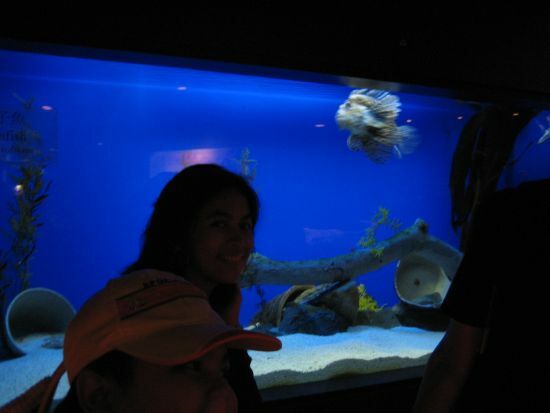 It is the first sea aquarium for jelly fish in the region and currently displays over 400 species. The Dolphin and Sea lion shows at Hong Kong Ocean Park are very popular. It is fabulous to see these intelligent mammals going through their paces. Thrilling rides such as the mammoth roller coaster and the gravity-defying Abyss Turbo Drop Ãƒâ€šÃ‚Â¨C falling from a height of 60 meters it promises to be a heart-stooping experience. 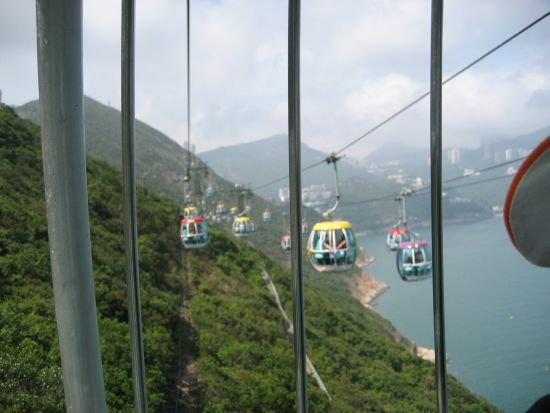 A cable car ride offering spectacular views along the route of Southern Hong Kong Island between the park's "Lowland" and "Headland" attractions. The under water tunnel at the Shark Aquarium where you can get a very close view (including great photo opportunities) of different species of sharks from different oceans around the world. 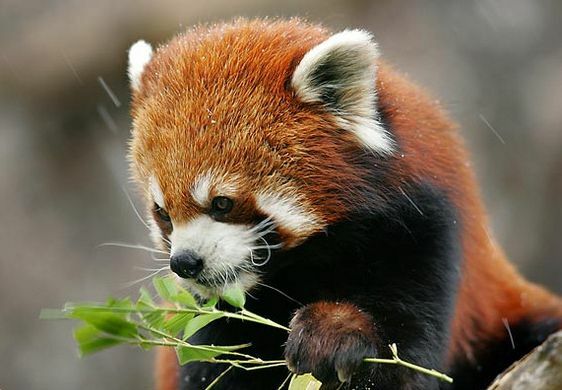 The Amazing Amazon - Animal Kingdom. Experience the exotic wilderness of South America featuring colorful macaws, outlandish toucans and elegant flamingos. Here's how to get into the Hong Kong Ocean Park from most Gateways around the City. The park is situated in Wong Chuk Hang, a southern district in Hong Kong Island. We start from your arrival in the Chek Lap Kok Hong Kong International Airport, Lantau Island. Get on the Airport Express MTR Trains that will bring you straight to the city. It is ideal to get an Airport Express Tourist Octopus Card(3-days Transport Pass, HK$220). This pass will afford you to a one way 24 minutes ride on the Express Trains to Hong Kong Island, 3 days unlimited rides on the MTR and HK$20 worth on any other public transport. If you buy the HK$300 pass you will have all the benefits above, plus an Airport Express round trip ride. Once you're in Central Station, look for MTR exit K. Or, if you're coming from any other point of the city, look for MTR trains station and take the Island Line trains then get off at Admiralty MTR station Exit B. 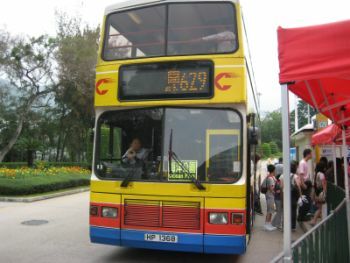 Upon exit, get on the special CityBus CTB 629 for about 25 minutes bus ride @ HK$10.6, an express bus travel between Admiralty (west) and Ocean Park (main entrance). You can get your tickets at the Admiralty Station Exit B before boarding the bus or at the ticket booths in the main entrance upon arriving at ocean park. Monday to Sunday: Purchase a MTR Add Value Lo Wu Combo at MTR Customer Service Counter(HK$235 - adult, HK$118 - child 3-11 yrs old). Get on the MTR to East Tsim Sha Tsui Station (HK$36.5), change to MTR Trains going Admiralty Station Exit B (HK$9), and then change to Bus No. 629 (HK$10.6) that will bring you to the Ocean Park in Hong Kong. Saturday and Sunday: Get into the MTR trains (read train safety tips here) to East Tsim Sha Tsui station Exit J, 47 minutes trip, HK$34.8, and then change to CityBus No. 973, HK$13.6 that will bring you to Ocean Park. The bus station can be found at 1 Science Museum Road inside Concordia Plaza (opposite Hong Kong Museum of History), Tsim Sha Tsui East. Sunday and Public Holidays: Get on the MTR trains from Lo Wu station Exit A2 to Hung Hom station Exit A1. Take the bride across the Hong Chong Road and you can find the bus stop for CITYBUS 171R that will bring you to Ocean Park. Ticket holder must present Hong Kong ID card for vertification at the gate. You can buy Ocean Park tickets at Admiralty west bus terminus before boarding the bus 629 or in the park's main entrance upon arrival. "What's NEW in Hong Kong Ocean Park?" Ocean Park will soon have only one entrance when it closes the Tai Shue Wan entrance, and that will only be used for special events, such as the annual Halloween festivities. 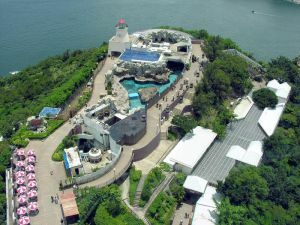 About 4.8 million people visited Hong Kong Ocean Park in the year to June 30, 2009. The park expects 5.8 million visitors by 2012-13. It is vastly expanding its main entrance as part of an ambitious HK$5.5 billion redevelopment plan that will more than double the number of attractions to about 70 by 2012. Ocean Park will receive two new additions to its animal kingdom - a pair of young koalas from South Australia. The Australian icons will be flown to Hong Kong within the next two years, as a gift by the South Australian state government. But the arrival dates have not been fixed yet. 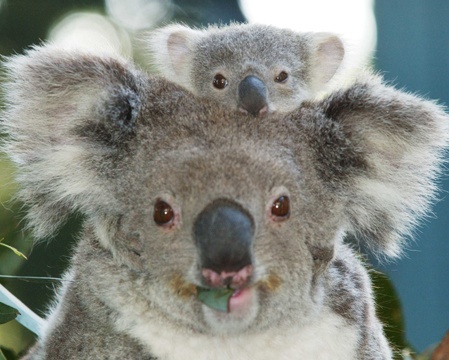 The male and female koalas will be housed and taken care of in a new habitat at Ocean Park. 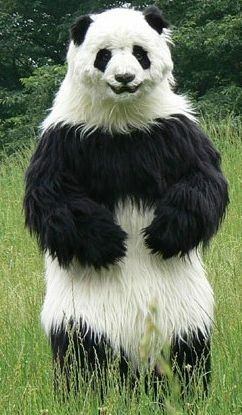 The theme park has never kept a koala. Five "living fossils" - Chinese Sturgeon whose species dates to the era of the dinosaur 140 million years ago has been moved into their new home in the Atoll Reef at Hong Kong Ocean Park. These fish are highly endangered, with less than 1,000 alive, making them rarer than pandas. The transfer to Ocean Park marks the first time the fish have been sent outside China mainland, their sole habitat. This is a new attraction being added to the park and it's expected to draw up to 15 per cent more visitors who will be interested in seeing the sturgeons. 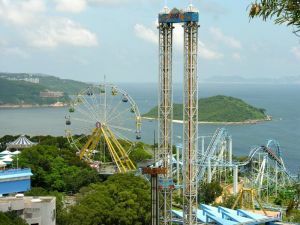 New Rail ride at Hong Kong Ocean Park. A new rail system at Ocean Park is expected to start transporting up to 10,000 people an hour between different areas of the theme park by the middle of the year 2009. Dubbed Ocean Express, the funicular system is the same as that used by the Peak Tram. It will run parallel to the cable car that stretches between the lowland and headland sections of the park. It will take about three minutes for this 1.2km tunnel ride. It won't just be a tunnel, it's going to be a ride. 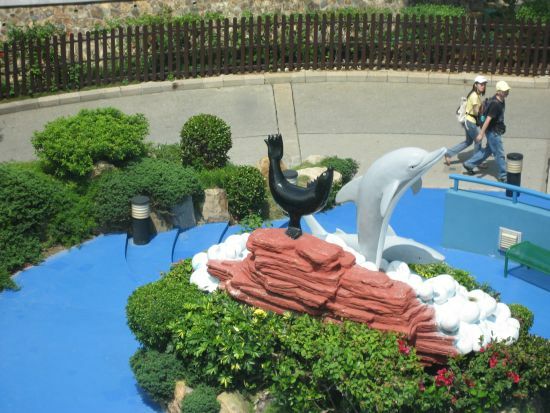 Hong Kong Ocean Park reviews and more inquiries. Hi, below is a webspace we've provided for you. 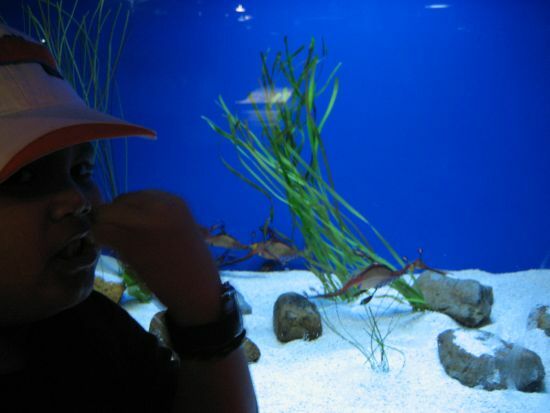 You can write anything you've experienced - bad or good about HK Ocean Park. Share it and start making someone's day! 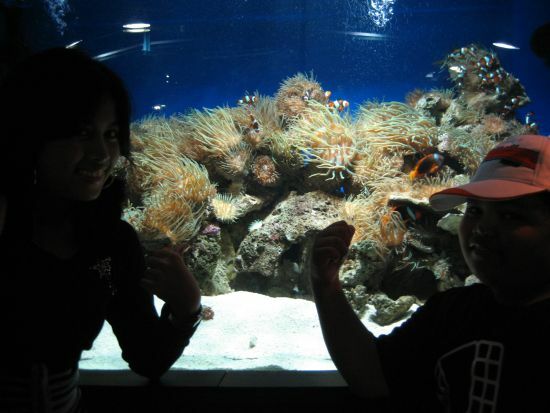 More inquiries and reviews about Hong Kong Ocean Park.